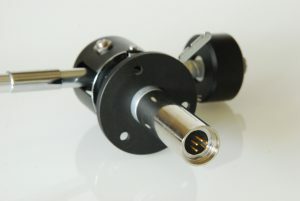 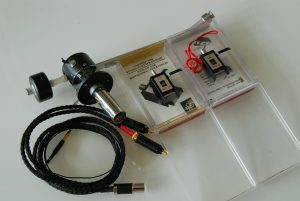 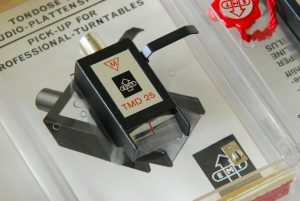 I got the pictured EMT 929 tonearm from Spain for repair. 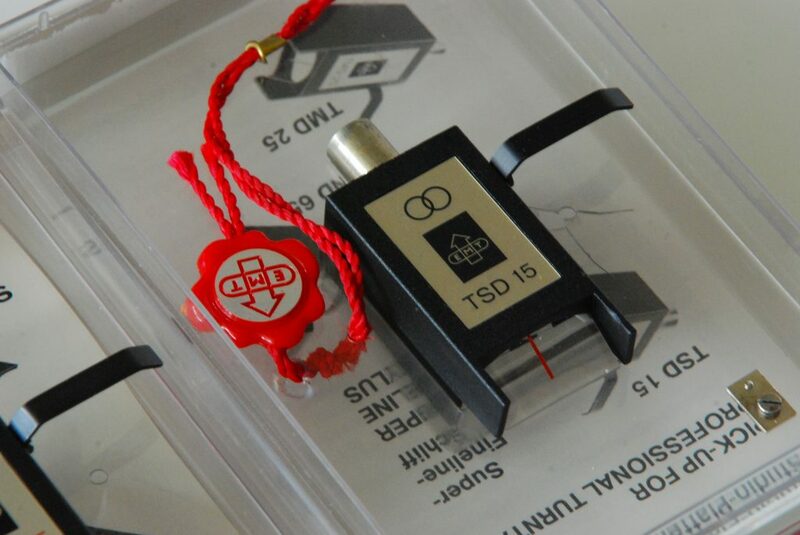 The internal wiring was defective, the bearings were not properly adjusted in a previous repair, the spring for the tracking force adjustment was bent and the tonearm had a defective plug for the tonearm cable. 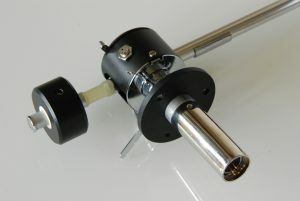 The tonearm has been repaired and all defects fixed and is equipped with a new tonearm internal wiring (Pure Silver Hair Wire), a 5-pin DIN phono plug and a pure silver phono cable Pure Silver Ultimate.